As the Jazz held celebrations for their 40th season in Utah, as the arena was filled with the purple worn for the majority of those years, the current Jazz found the best way to honor the legacy of the teams that had come before them. By finally winning a home game. 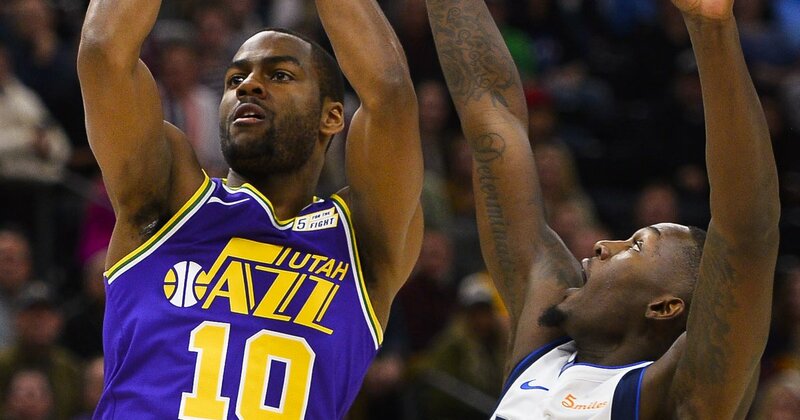 Just as the Jazz hadn’t in the 39previous seasons, they didn’t get out to an 0-5 start at home in 2018-19, winning Wednesday’s game against the Dallas Mavericks 117-102. Donovan Mitchell was electric in his return from an ankle sprain suffered over the weekend that cost him the Jazz’s Monday contest against the Raptors. Mitchell wasn’t the only Jazzman with a good game, though. Rudy Gobert was back to his impactful best as a defender, finishing with 17 points, 10 rebounds and a season-high four blocks, though he did foul out with three minutes left.